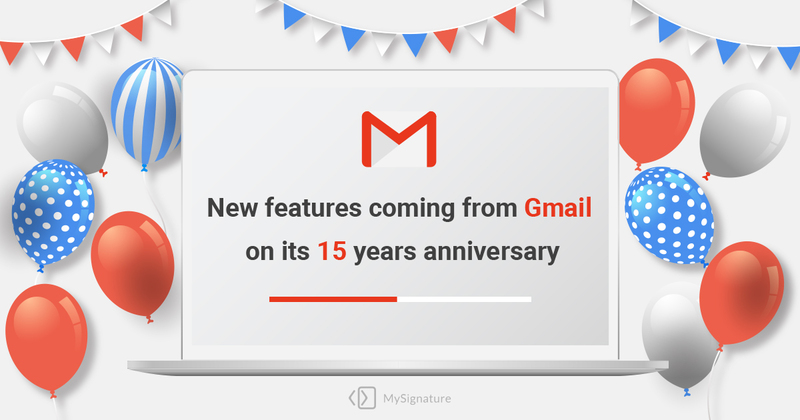 Gmail has turned 15. Much has been achieved during this time and Google still keeps doing much to improve all its products, including the email platform. So, Gmail celebrates its birthday this year by introducing a good selection of new features. Let’s discuss all of them one by one. This feature must have been one of the most expected implementations in Gmail. They have made it easier for users to send important emails right at the needed time. This new Schedule Send feature is really helpful if you work with people from different time zones. You can just write your email at night while you remember what you want to include in the text, and choose the date and time when it should be sent to the recipient. If you write and send an email at 6 p.m., chances are the recipient will lose it among all other emails as the inbox is usually checked next day in the morning. So, you can simply write it anytime in the evening and schedule for necessary time to get to the top of the recipient’s inbox. Last year Gmail released a great Smart Compose feature based on AI technologies. It allows users to complete sentences quickly by suggesting possible endings. The system suggests common phrases that might be appropriate for your text. It automatically shows the end of the sentence and you have to only press Tab to use it in your message. This month Gmail has updated the feature by making it available for four new languages, including Italian, French, Portuguese, and Spanish. You can quickly draft emails from scratch. Also, the feature reduces chances you can make spelling mistakes which is really cool. And one more innovation introduced by Gmail on its birthday is making emails more interactive, dynamic, and actionable. Now, without leaving the inbox message, you can easily take various actions such as filling out a questionnaire, scheduling a meeting, or responding to a comment in a Google Doc. No need to open multiple tabs anymore. You stay concentrated on necessary things. It allows to keep the message updated no matter when you look at it. You can write your email signature all by yourself! The question is… should you? © 2019 MySignature. All rights reserved.